District 1. Far North Queensland Veteran Golfers Association Inc.
clubs; Cairns, Gordonvale, Mareeba, Half Moon Bay, Atherton, Millaa Millaa and Babinda. District 3. Townsville District Veteran Golfers Association. Deb Brownson Ph; 0417 600 897. Paul Epton Ph; 07 4780 5505. District 4. Whitsunday Veteran Golfers Association Inc.
District 5. Mackay & District Veteran Golfers Association. District 6. Central Queensland District Veteran Golfers Association. District 7 . Port Curtis District Veteran Golfers Association. District 8. Wide Bay District Veteran Golfers Association. District 9. Sunshine Coast District Veteran Golfers Association. Noosa John Sharp Ph: 07 5449 8385. District 10. Pumicestone District Veteran Golfers Association. District 11. Bribie Island District Veteran Golfers Association Inc.
Keperra Fred Quine Ph; 07 3351 3332. District 13. Brisbane Districts Veteran Golfers Association Inc.
Brisbane District Veteran Golfers Association is not associated with a particular Golf Club. Its membership is comprised of veteran golfers from various golf clubs in the Brisbane area. (Games are played on a Monday). District 14. Oxley District Veteran Golfers Association Inc.
and surrounding Clubs (all games played on Monday). District 15. Ipswich District Veteran Golfers Association Inc.
District 16. Fassifern District Veteran Golfers Association. District 17. Northern Gold Coast & District Veteran Golfers Association. District 18. 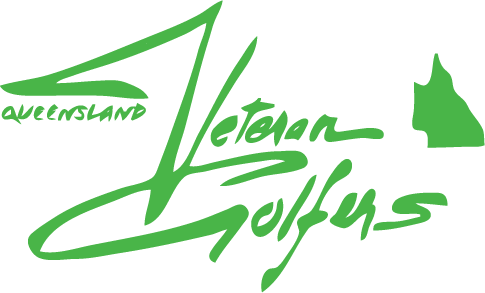 Albert and Logan District Veteran Golfers Association. Redland Bay Kim Nisbet Ph: 07 3821 2531. Riverlakes Des Wilkinson Ph: 07 3343 5971. Bay Islands Gail Spann Mob: 0407 643 713. District 19. Gold Coast Veteran Golfers Association Inc.
Gold Coast Veteran Golfers Association comprises of members of golf clubs that are located within the Gold Coast region. District 21. South Burnett Veteran Golfers Association. Blackbutt, Nanango, Kingaroy, Wondai, Murgon, Goomeri, Kumbia, Proston, Kilkivan and Jandawae.